All of the flavors and ingredients of traditional lasagna come together [in your slow cooker] with this heartwarming lasagna soup. Disclosure: I first shared this recipe in a video in partnership with Tomato Wellness to support their #SlowCookerSeason campaign. I was not compensated to write this post. I’ve been on a lasagna kick lately. From lasagna roll-ups to this lasagna soup, Ted has said on more than one occasion, “lasagna again? !” But here’s the deal: lasagna gets a bad rap. It’s traditionally known or eaten as a heavy dish filled with layers of noodles and lots of cheese. Who wouldn’t love that?! The reality is IF you eat lasagna like that everyday, then yes, you waistline might regret it. However if you find ways to lighten up lasagna like I have, then I say enjoy it all you want. Slow cooker lasagna soup is really a meal of compromise. And if you are feeding small children you understand how mealtime is all about compromises. The boys of course love noodles, cheese, and sauce. 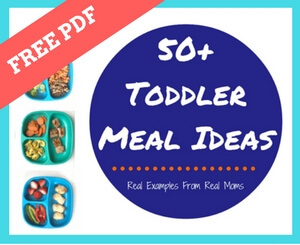 Mom loves the added veggies, protein, and the ease of using the slow cooker to get dinner on the table with ease and without frustration [or meltdowns]. So give this lasagna soup a whirl— and don’t forget to top it with extra cheese. Your kids will thank me! Add beef, seasonings, garlic, onion, bell pepper, tomatoes and broth to slow cooker. Cover and cook on low for 5-6 hours. Break lasagna noodles into small pieces and add to slow cooker along with Parmesan cheese. Cover and cook for another 30-40 minutes. Serve with more cheese and fresh basil! Make sure to stir the lasagna noodles into the soup to prevent them from sticking together. You may need to stir them a few times during the 40 minute cooking time. In my opinion, one can never have too many slow cooker recipes. So tell me, what’s your go-to slow cooker meal this fall? When sharing your favorite slow cooker recipe, be sure to use the #SlowCookerSeason and you’ll be entered to win one awesome prize via Tomato Wellness!